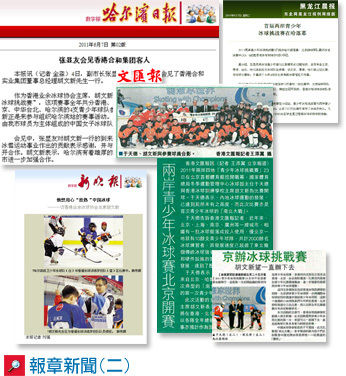 2011 Youth Hockey League (Asia Region) Champions - Beijing Imperial Guard! The Youth Hockey League (Asia Region) was successfully completed in Harbin with Beijing Imperial Guard winning the championship by a score of 3-0 against Hong Kong HKAIH. The game was tight, intense and emotions ran high throughout the game. 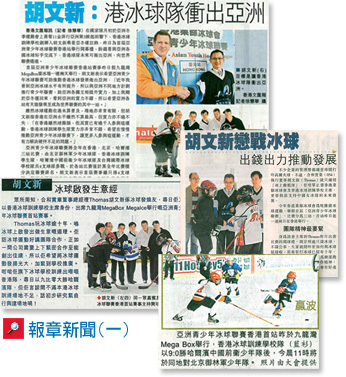 Founder and Chairman of the Hong Kong Academy of Ice Hockey was present to award players with awards alongside special guest, Director of the Harbin Sports Bureau, Mr. Zhang Tian Bo.